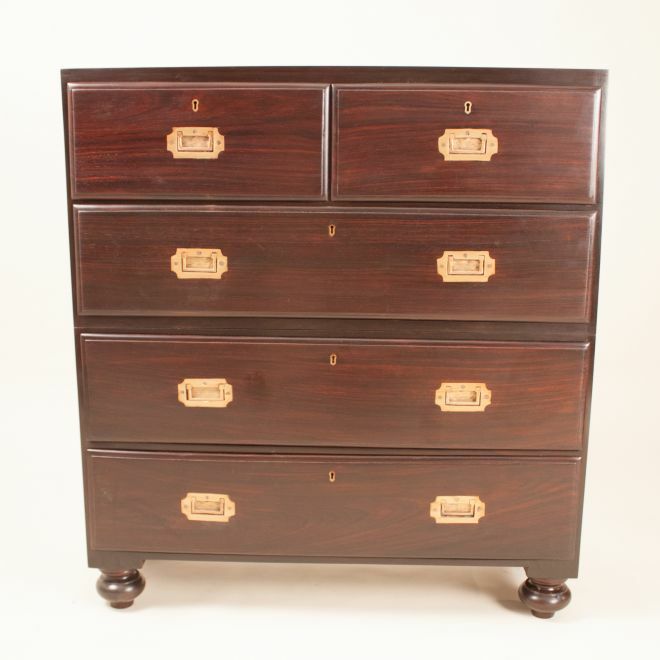 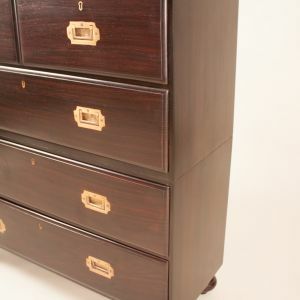 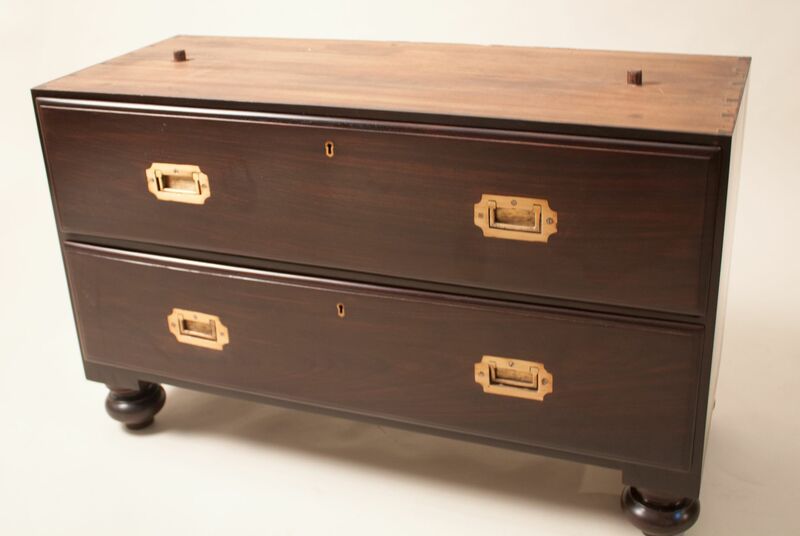 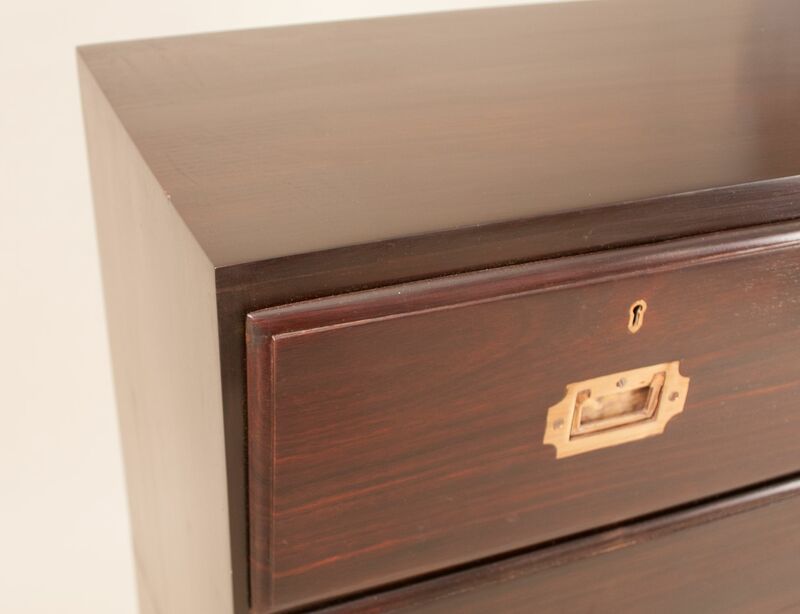 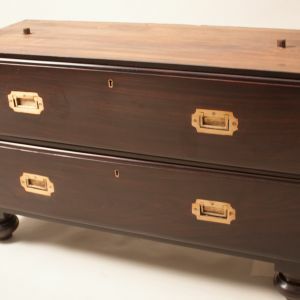 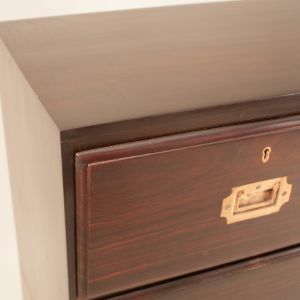 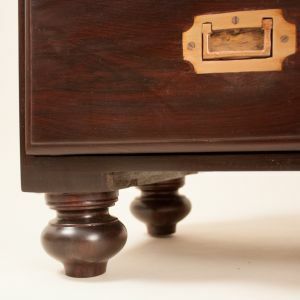 Petite and simple British Campaign style chest of drawers in restored rosewood with inset brass drawer pulls, circa 1920. 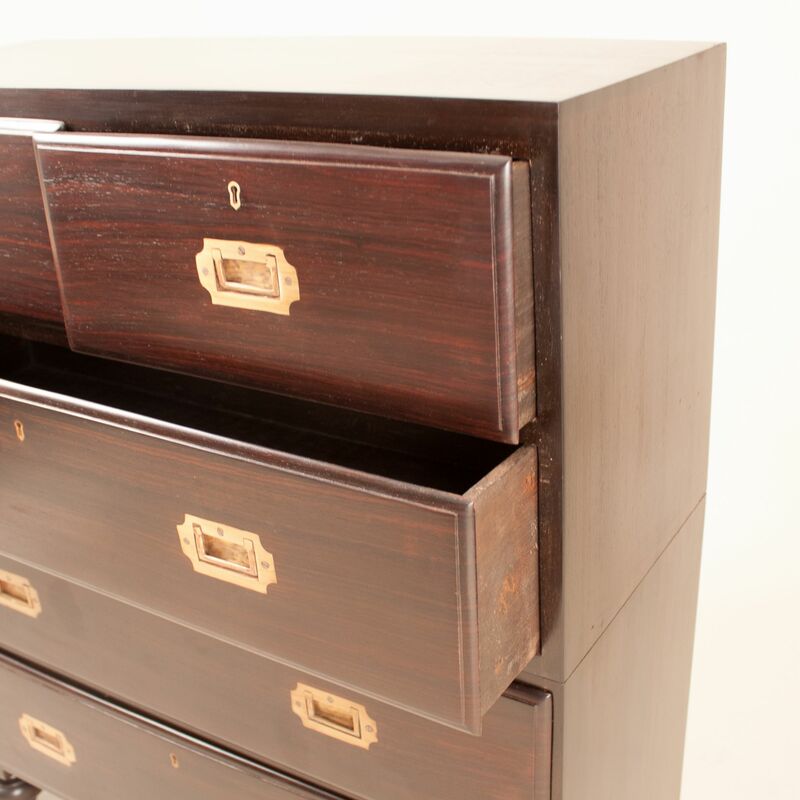 Each of the five drawers slides smoothly and has a working lock and key. 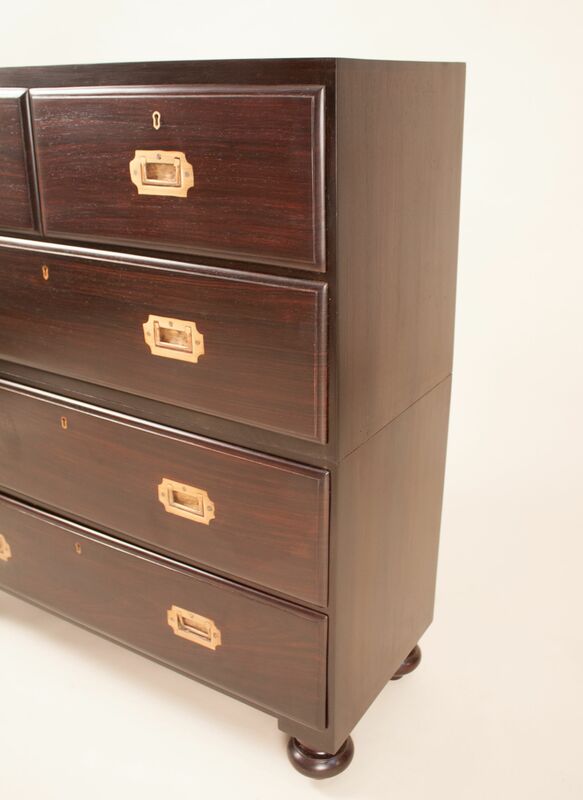 This classic dresser stands on bun feet and is in two pieces for ease of transport, which is typical of the period.